British jazz trombonist Chris Barber celebrates his 64th year as a bandleader in 2013. At the end of 2001 Chris extended his band with three more musicians into The BIG Chris Barber Band. Chris formed his first Barber New Orleans Band in 1949 at the age of nineteen. 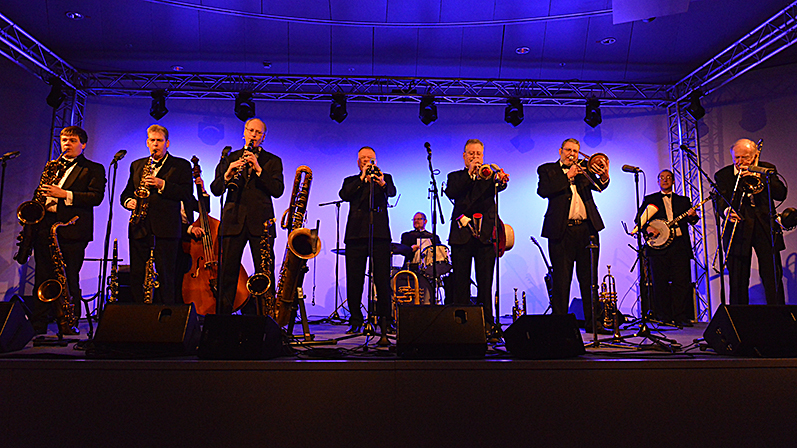 Since 1954 The Chris Barber Band has been one of Europe’s most succesful traditional jazz band. Having performed over 10,000 concerts and made thousands of recordings, the Chris Barber Band keeps marching on, right into the 21st century. With his 10-piece band, Chris Barber plays a selection of his favourite music - from his roots in New Orleans style in Bourbon Street Parade to the early music of Duke Ellington and Sidney Bechet, and beyond. Enjoy numbers such as Petite Fleur, South Rampart St. Parade...and probably back to When The Saints!